All services in Australia must use the Early Years Learning Framework (EYLF) to guide their practice. This well researched document supports how we view children and learning. These outcomes are encompassed in the ‘Big” idea of Belonging Being and Becoming. Which involves supporting children to belong, providing them with the opportunity to be part of a community. Giving children the chance to be themselves. Allowing children the time to grow at their own pace, enjoy the wonder of childhood, learn about themselves, develop deep relationships and become fully involved with new ideas and interests. Finally supporting children to realize their potential and Become active learners of skills and concepts. The Framework has a strong emphasis on play-based learning as play is the best vehicle for young children’s learning providing the most appropriate stimulus for brain development. 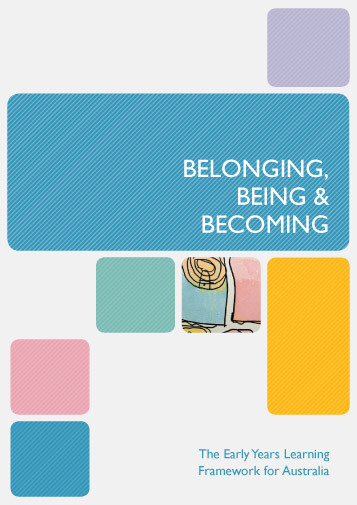 You can read or download the Belonging Being and Becoming document here. 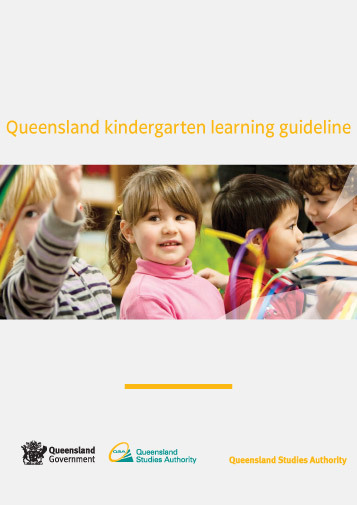 You can read or download the Queensland Kindergarten Learning Guidelines document here. Rainbow Valley offers innovative play-based curriculum that is guided by the EYLF, as well as supporting an approach based on long term projects which are informed by international perspectives. The educators at Rainbow Valley have been researching high quality evidence based best practice since opening the service. This has resulted in connecting with many theorists that support rich learning for children. One of our major influences is the educational research project in Reggio Emilia. The principles of Reggio Emilia can be considered as having an image of children who are capable people, full of potential, competence and rights. Who learn within a relationship with educators. Make connections and construct understandings of deep concepts through using the arts. Connect to learning through shared documentation. The importance of the physical environment as a protagonist for learning. View children and educators researching and learning about the world together. We have specific art studios in each section of the service where we organise regular visits with artists in our community, as well as employing an additional artist educator to support the curriculum of the kindergarten. Information on Reggio Australia can be found here. The Abecedarian approach created by Joseph Sparling in Canada supports the development of literacy and Numeracy across the whole service. It is a suite of teaching and learning strategies that were developed to increase children’s shared attunement with their educator, increase language and conceptual development, emphasis the importance of interactions as a way to embed learning across the whole day. It has 4 core components, these being Language Priority, Conversations reading, Enriched Caregiving and Learning games. We also connect to the vision of Nature Pedagogy where the influences of Clair Warden from Scotland has served to enrich our thinking in regard to the importance of children’s need for Natural play spaces. This thinking encourages us to engage children in long experiences in outside environments where children have control to shape the environment. Explore natural elements. Connect to sustainability and awareness of human impact on the environment and supports a connection to the land and place that respects our first Australians. We employ a full time outside educator to work with the whole service to maximise the potential of our outside environment. More information on Claire Warden can be found here.